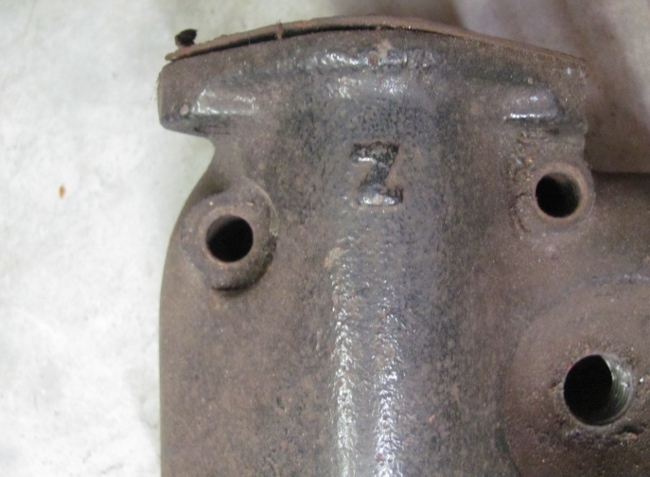 Model T Ford Forum: New CAST IRON HEAD from Prus Engineering!!!! New CAST IRON HEAD from Prus Engineering!!!! 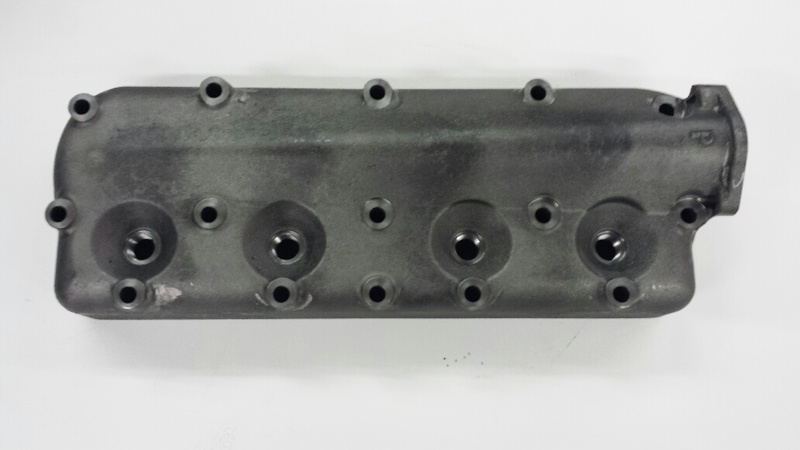 Model T Ford Forum: Forum 2014: New CAST IRON HEAD from Prus Engineering!!!! Come see the NEW CAST IRON HEAD at NK6 inside or FK40 outside at Chickasha swap meet This head is just like the aluminum one from last year 8 to 1 compression but made from cast iron. See You There. When you start making one that is lower comperssion, I'm interested! I don't know why they didn't work for you, Morris, their size was well within limits (both were under 125K). Where can I order one of these? Well I would like to try one. The "engineering" of the combustion chamber closely resembles the Sherman I believe. I have both a Z head and a Prus aluminum head on two Ts. I can tell without a doubt that the P head makes more power than the Z head. On a few hills around here that I previously had to use my Ruckstell on I just sail up them in high now...no Ruckstell. I've been running the P head for about a year now and it works great! What's the price of Prus aluminum and steel heads? The aluminum one is about $100 more than a Z head. Phone # is 330-774-7130 I haven't seen a website. Lang's sells the Z head for $360 and the Prus alu head for $400, so no $100 difference there. How much was the new cast iron Prus head selling for at Chickasha? Saw it. Nice. Very good machining by a top notch industrial firm the finish inside and out is super. 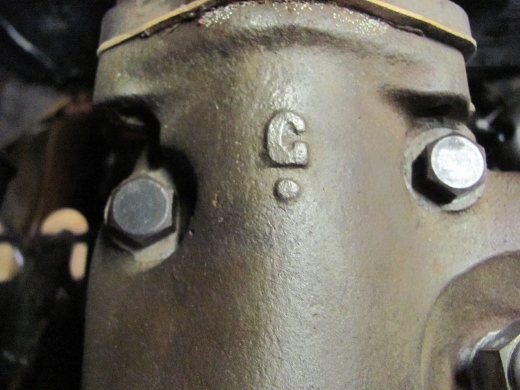 Has a 'P' on the outlet neck, no Ford script so from the outside looks like a new '27 head as those didn't have script! 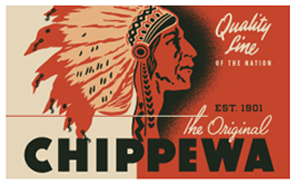 "Big Tomahawk Head" with an Indian Head nickel design instead of the "Ford" logo...you can charge an extra $10 for the trouble; I'd pay it. Assuming these items are USA made why not milk it for every penny it's worth? No wonder people are buying made in China instead. That's a good idea. As one of the people who got screwed on the Lizard head I wanted to see one before I bought one, even tho I'd seen Kevin's aluminum one earlier. There is one in the back of my car waiting for an engine to go on. The quality is impeccable. By the way Constantine. 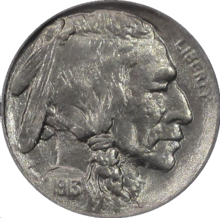 That is a "Native American Profile" Nickel instead of an "Indian Head" Nickel. We must be politically correct, mustn't we? I think 8-1 is a little extreme. 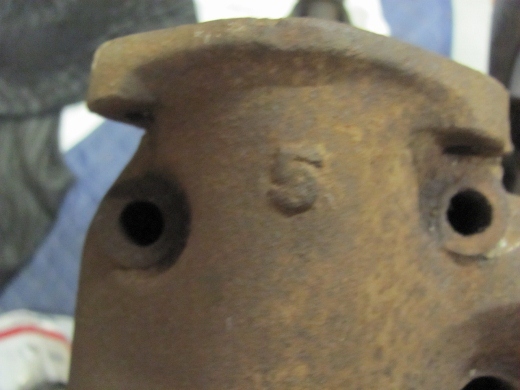 I'd like to see a cast iron head with no more than 6-1. I don't feel like adjusting rod bearings often! Your right, I should have said "Native Americans", but not because of political correctness. 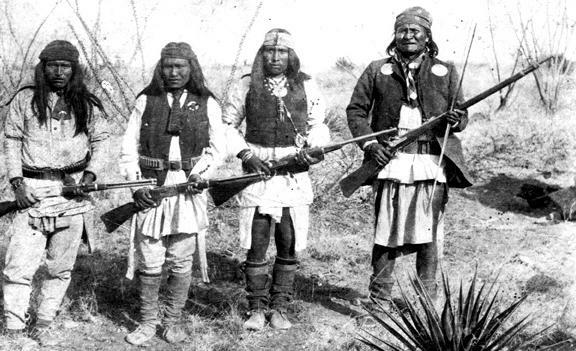 It wouldn't be smart to disrespect anyone and get a visit from the descendents of these guys. What was the problem with the Lizard Head? Heard of them, but know nothing. A number of "quality control" issues (water leaks). And then the location of the spark plug!! The C/ Yapp Lizard head caused pinging unless you ramped up the ignition system. Location of the spark plugs over the open chamber perhaps the problem. All other hi-comp heads the plug is over the valves. Older post showing the Lizard chamber. I had two, and sold each, told the buyers to beware, cut my loss in half though. Never mounted mine after taking a lot of time using a braided wire rope on a elect drill to remove so much crud and materials of casting from the water jackets. They were sold dirty right from casting and machining which wasn't the greatest. The new iron head from Prus is clean as a whistle and looks great, my next hi-comp will be his. new iron Prus on the right. Okay, interesting. Does Mr. Yapp also make the Lion Head and OHVs for Model As? I've read mixed reviews about those on the Fordbarn. The P head (silly name) looks well made and the numbers show it's better at top end than the Z, but I'd like to see "Made in USA" plus a "Ford" or better yet a "Native American profile". The smile I'd get seeing that every time I lift the hood would certainly lessen the pain of spending $500. One thing though, higher compression means harder hand cranking; not all Ts have a starter motor. Dan, as you probably know, my son David, down in Stuart got my Lizard head running quite well in his Fordor by using the E-timer. Runs like a "Leaping Lizard! At 50 MPH (GPS indicated) and half throttle, when opening to full throttle, it continued to produce moderate acceleration. I think Kevin' s cast iron version will be a real performer without the ignition peculiarities. I am rather proud of having coined the "Yapp Crapp" head moniker for them. Two of the ones I got leaked water like a sieve around the spark plug bosses. They didn't drill the steam holes (you had to put a gasket on with the head upside down and drill the steam holes yourself or they would blow the head gasket out) the castings were so rough I spent most of a day with a side grinder and flap wheels trying to get it to look good and it wasn't flat-flat on the mating surface. There was NO warranty. When I called to complain about the head I was told to put it on ebay or spend $80 shipping so they could press a washer in to seal up where it leaked. I had also spent a couple hours trying to get all the crapp out of the inside of my lizard so it wouldn't plug up my new Brassworks rad when I put water in it. It did. POS!!!! I sold mine as Dan did with a disclaimer that it was a POS and good to hang on the wall. Some people love them. Not me. Get me once, shame on you, get me twice, shame on me. He got me twice, I bought three of them on the first order. Nuff said. Constantine, I was just joking about the Native American deal. I also think that Kevin is not calling them the P head, somebody else is trying to stick them with that. Dan, what do you mean by "no script on a new 27 head"? I have a 1927 motor, and the head has Ford script? Just curious as I know very little about these motors. I have a aluminum Prus head, it is a nice part, have not installed it yet. I think 8:1 may be a stretch, but it is clearly more than 6:1. If the iron head is identical except for the material, why spend another $100 just to add a bunch of weight to your engine? Yes, iron is the original, but if you were real concerned with originality you wouldn't nearly double the compression ratio. If someone is worried about corrosion or electrolysis issues, an education about cooling system maintenance is in order. The vast majority of engines built in the last fifty years have a mix of aluminum and cast iron parts. I wonder how much extra it would cost to get a license from Ford to use the script. I for one would pay the extra to have it. The head doesn't look right without it. It does not have "Made in USA" and the "Ford" script because it is a copy of the 26/7 head. From the encyclopedia: Other records indicate that in August 1926 the "Made in USA" and "Ford" were being eliminated from the head castings. No problem, have been messing with T's since 1965 and still learning too. But easy today to glean so much from the internet, and work such as Bruce McCalley, Trent Boggess and other dedicated researchers. Late high head, no script or made in USA. "August 1926 Ford script and Made in USA eliminated." First purchase after a T should be Bruce's CD set, get copy from his widow, adv. on club classified at the moment. So I'm guessing I either have an early 1927 production motor here, or the Canadian cars were not effected the same way? 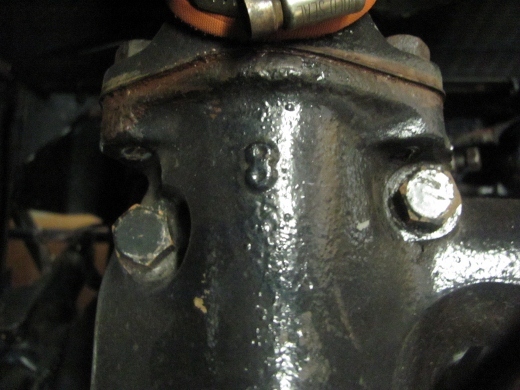 The head on this 1927 motor says Ford And Made in Canada on it. Got Bruce's Big book, is the CD set something different? Resurrecting this older thread - Les, did you receive yours and cc it? What did its calculated CR turn out to be? I had planned to buy an aluminum Z head, but if this P head CR comes in at 6:1 or a little less, I'll get the cast iron P head instead. Kevin cast a P on his head in the same place as the Z on a Z head. So I guess it's a P head! Yes, I understand the reasoning behind the name. It's just lucky that Mr.P and Mr.Z names didn't instead begin with the letter "D" otherwise we'd be discussing D heads...they certainly would lose sales with that name. For those who think my suggestion of instead putting a profile of a Native American was fanciful; here you are. I just purchased a pair of USA made Chippewa leather works boots. 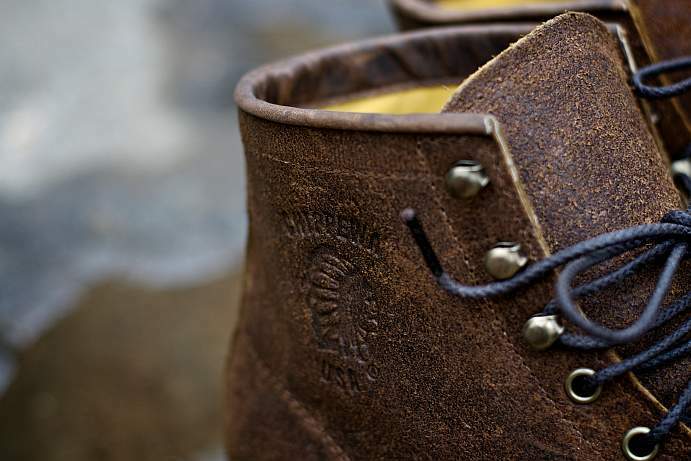 Guess what they have stamped into the leather? There is also a tiny removable USA flag on the laces. Sorry, that should be "Bob" not "Kevin" at the start of my post above. You're right Constantine...I don't think we'll see a head made by the D company!! 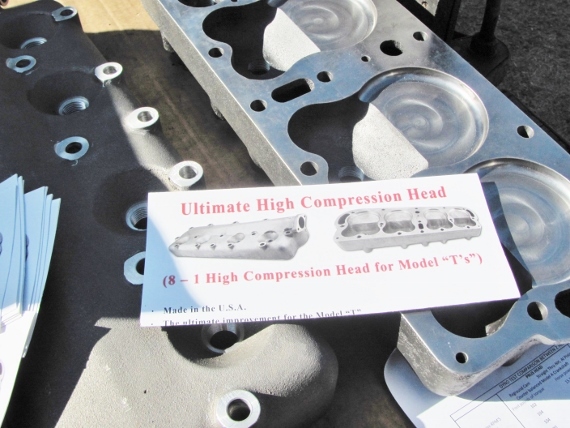 Please let us know what the true compression ratio is of that new cast iron head. If it is 6-1 or less, I want one. Surely, Mr. Prus must know what it is! Larry -- Mr. Prus says it's 8:1. It's in all the ads for it. I just PM'd Les as a reminder in case he isn't checking the forum, hopefully he'll be able to pass on the results of his measurements. Alpha or numerical cyl heads.....Ford made so many, with different letter and numbers, would be fun to see the variety....so I am starting these. Mike Walker, for some reason Prus keeps on false advertising his great product as 8:1 when it's actually about 5:1 in compression - and it's so easy for anyone to check the facts? An exaggerated hp gain claim would be harder to contest. Compression ratio is a simple relationship between the volumes in the cylinder and the combustion chamber. On a T where the piston prutrudes out of the cylinder into the combustion chamber there are some extra steps in the calculation, still nothing too advanced. "The compression ratios can be determined from the measured volume. 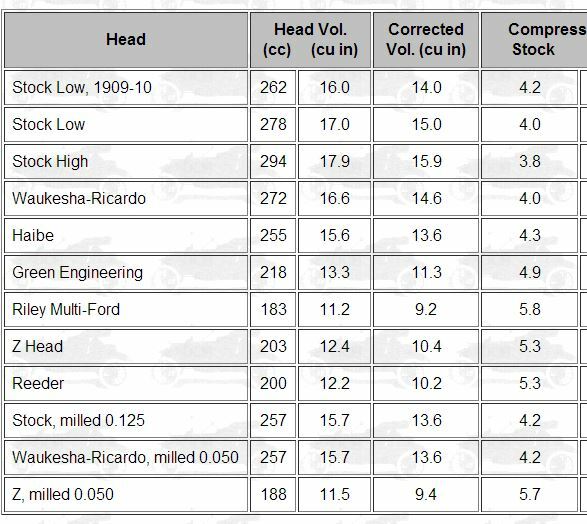 A stock high head has a volume of about 294 cc or 17.9 cu in. The volume is reduced by 2.8 cu in because the piston rises 5/16 inch above the deck. 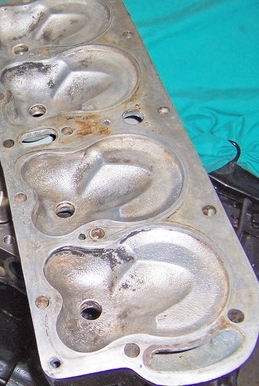 The volume is increased about 0.8 cu in due to the head gasket. 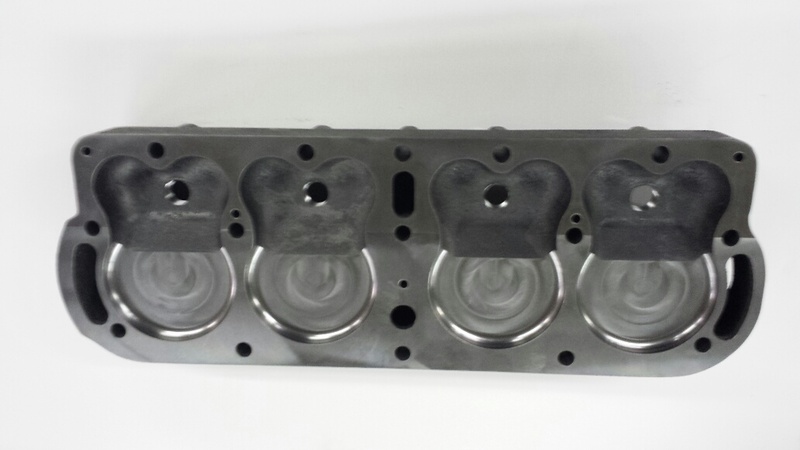 For a stock head, the combustion chamber volume is 17.9 - 2.8 + 0.8 = 15.9 cu in. An engine with stock bore and stroke has 44.2 cu in displacement per cylinder, so the total volume when the piston is at the bottom of its stroke is 44.2 + 15.9, and the compression ratio is (44.2 + 15.9)/15.9 = 3.8. The values determined for other heads are shown in the table below." So where did Kevin Prus get the idea he had 8:1 compression in his new head? My impression from e-mail communication with him is that he has misunderstood a compression reading. A fresh engine with a high head may show 50 psi when tested while his new head showed 100 psi, so instead of correctly saying it has double the compression pressure, he thought it had double the compression ratio from a std 4:1 head. This doesn't change the facts that compression ratio is a relation between easily measured volumes. There is a head that actually gives more than 8:1 in compression, it's the Sherman Superfire again in production by Ben Serar, it's measured at 125cc by Les Schubert, giving 8.8:1 according to the above calculation. I'm not sure how the typical touring T would react when equipped with such a head? I'm still curious if anyone has measured one of the new iron Prus heads? Roger -- I was responding to Larry's post above, where he said Mr. P must know what the CR is. I was being a bit sarcastic with my answer, since others have said here before that the 8:1 number is not accurate. I didn't mean to imply that that number is correct, just that that's what Kevin says it is in his ads. I probably should have included a smiley face. I've had a Reeder aluminum head on my '15 for ten (nearly eleven) years. When am I supposed to start having head gasket problems? Many automobiles over the years have used aluminum and cast iron components together. It has never been a problem provided you use and maintain a good quality anti freeze mixture in the cooling system. I usually agree with you, Royce. But you are incorrect in your statement on failure of aluminum heads on iron blocks. I have been working as a mechanic over 30 years. I can tell you first hand, that aluminum head engines have more gasket failures than iron headed ones. And he GM "extended life" pink coolant has made the problems much worse. I'm sure this will either make matters more complicated or it doesn't matter at all, but I have a question regarding Harold's observation. Would the use of a copper gasket have any effect on the problem, good or bad? Using a copper gasket means there are three metals to contend with (iron block, aluminum head, copper gasket in between). Now if every metal involved is exposed to the same heat, and expands to said heat at a different rate, would that have any effect on the odds of a gasket failure? Just trying to account for all the variables, if they even make a difference. Hopefully someone wiser than I can help. Has anybody from the Tulsa T Club done any testing with more modern performance heads? I notice the Lizard head didn't make their chart either. I know it's been considered a junk head without proper ignition systems, but it would still be interesting to know where it ranks on the charts. Jared , When the lizard heads were produced you were suppose to be able to request what ever compression ratio you wanted. I do not think that actually happened. The Lizard came in two versions it seems, advertised as 7:1 and 6:1. Tim Foye measured the compression pressure in his "7:1" Lizard head to 102 psi, indicating it may have been an exaggerated claim. 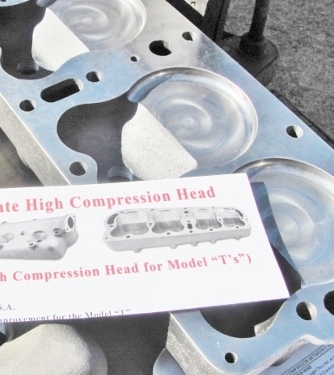 Besides checking the head combustion chamber volume (CC), you also need to figure in the head gasket compression chamber volume (Squeezed), Piston height/Dia. 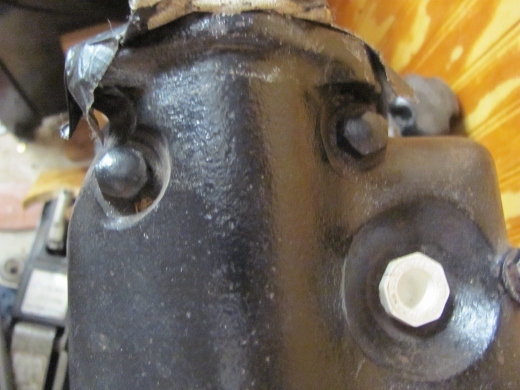 and shape above the block surface including valve head size above the block. An engineer friend and I spent some time one day comparing head volume and other related factors mentioned above and determined that the Z head provided approx. 5.25. We also compared a low head with .060" milled off using high compression domed pistons .040" oversize. That combination provides approx. 5.10. I question 8.0 compression ratio being advertised for the Prus head. Will be interesting in hearing what Les Schubert reports after measuring a Prus head. I never like to doubt someone who manufactures something and makes a claim for it, but comparing the pictures of the Z head and the Prus head sure looks to me like the Z head combustion chamber is smaller. I've had a Z head on my Fordor for 24 years & 25,000+ miles, same copper head gasket & no leaks or any trouble. Would be good to see compression ratio test. But looking at the new Prus iron head chamber and the 'Z' alum chamber, the Prus seems to have more squish. The 'Z' has that flame path cutaway and less piston area squish. I hope Les is OK, he hasn't replied to this forum or my PM. In Dan's photo, the depth of the valve pockets look deeper in the Purs head compared to the Z.
Les has been up north remodeling, adding a dormer and re-roofing his lake house, getting it ready for summer. He is also building another addition to his huge shop, probably hasn't had time to fool with the forum. I had dinner with he, Karin, Alexandria and Gord along with Harry Lillo a week ago last Friday and they were all headed north. Might not have internet there on the frozen tundra of Canada. Enough of the jokes about naming the heads, I want to know why Mr Prus added the large round hole between cylinders # 2 and 3. 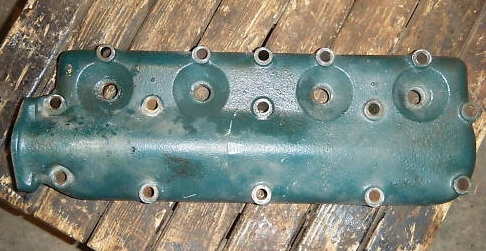 The hole is not in the model T block and not in the gasket set I buy from Snyder and Chaffins. Why is the hole there? Look at the picture of the Z head above, looks like they also have the hole. I think it's about keeping the core in place that forms the water jacket, much like the holes in the block we put "frost plugs" in. I don't think the hole between 2&3 on Prus and Z heads are likely to cause gasket trouble, it's Reeder heads with larger holes that has been reported to develop problems in some cases. As Stan said I am busy. Anyway I just measured the combustion chamber on my new Prus head and came up with right around 200 cc. So the chart above claims it would be 5.3-1. I did my own calculations to compensate for the piston "pop-up" and got a little less, but close enough. What I really like is the "quench" that the chamber gives. It somewhat resembles a Sherman Superfire which resembles a '34 Ford flathead. My understanding was that with the advent of tetra ethyl lead and therefore predictable octane ratings in the early '30's coupled with the depression making the auto industry really competitive and throw in the HP race; combustion chamber shape was studied in great detail to get the most out of engines. The importance of "quench" was realized and it was found that having the piston closing to between 1/32-1/16" was quite optimal. I will shave my Prus head as needed and install it with a Pharis copper shim head gasket to achieve this clearance range. I believe the Z resembles a '32 Ford "B" head. I will guess the large round hole you refer to, was to provide good support for the water jacket core and hopefully to eliminate any problems with core shifts that plagued another head that had all kinds of problems with water leaks. Thanks for the reply, Les, hope all your projects go well. I bought an iron Prus head from Chaffin's today. Kevin was pretty sure it was the last one, before the next run from the foundry. Made my day. OT - but what ever happened with Joe Bell's iron "Powermaster" head (my name for it, not his). Joe, you there? How many did you make and are any in use? Roger, Thanks for the info. It's a pity Joe's head will not be available as it would be good to have a second iron head in the mix. Which is why I bought my "Joe Bell" head right away!! I really want one of those Riley Multi Fords. Those looks crazy cool. Of course, I need a new magneto to run one.